Dr. Antony George William has an M.Sc. in counseling from Duquesne University, USA and Ph.D. in Logo therapy from Gregorian University, Italy. 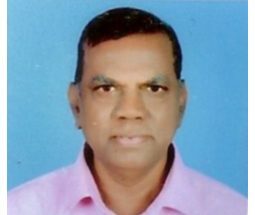 He has more than 20 years of teaching experience and has worked in Christ University, Bangalore University, Mont Ford College, and Institute of Philosophy and Religion. Currently he is teaching clinical psychology and counseling in School of Social Sciences & Humanities, as Guest Faculty. He has provided 700 hours of individual counselling both in India and USA and has conducted 300 hours of group therapy in India and USA. He is also currently providing counseling supervision for an NGO. He has presented and published two papers on ‘Paradigm shift in family counselling’ and ‘Critical analysis of well-being’ in an international conference organized by Christ University, Bangalore. He has also guided 30 PG students in their research work.